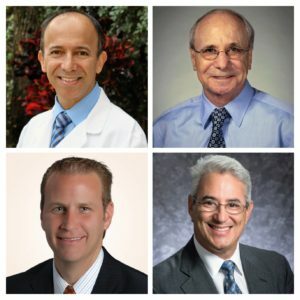 Collier County Medical Society (CCMS), the local professional association for physicians, is pleased to recognize local physician leaders at its 2019 Annual Meeting & Installation Dinner, May 4th at Wyndemere Country Club. The evening features a cocktail reception and dinner program with the inauguration of the 62nd CCMS President, Dr. David Wilkinson and new CCMS officers; the presentation of the 2019 Physician of the Year Award to Dr. Cesar De Leon; and the CCMS Lifetime Achievement Award to Dr. Robert Meli. The Florida Medical Association President, Dr. Corey Howard of Naples, will preside over the installation ceremony. The event is open to the public, and tickets can be purchased at https://conta.cc/2EigZI7. Dr. Wilkinson, incoming 2019-2020 CCMS President, began his career as a respiratory therapist and returned to medical school at Wright State University. He graduated with honors and was elected into the international honor society of Alpha Omega Alpha. Dr. Wilkinson completed his urologic surgery training at the University of Kentucky. During his residency he received the Excellence in Medical Student Education Award. Dr. Wilkinson is board certified, a Diplomat of the American Board of Urology, and practices with Gulfshore Urology. He has been a member of the CCMS Board since 2015. Dr. De Leon, the 2019 CCMS Physician of the Year, was nominated and selected by his peers for his extraordinary leadership in protecting the physician-patient relationship in Collier County. He is a board-certified Family Practitioner with Millennium Physician Group and graduated with the President’s Award and Recognition from Western University of the Health Science College of Osteopathic Medicine, completing his residency at Broward General Medical Center. He recently graduated with honors from Colorado State University with a Master’s in Healthcare Administration and has served as Family Practice Department Chair at NCH for five years. He is the 2018-2019 CCMS President. Dr. Robert Meli, recipient of the CCMS Lifetime Achievement Award, was nominated and selected for his decades of inspirational service to Collier County. He is a board-certified Radiologist with Proscan Imaging and has practiced in Naples since 1974. He received his M.D. from Medical College of Wisconsin and completed his residency in Diagnostic Radiology at St. Luke’s Hospital in Milwaukee. Dr. Meli was an active staff member at Physicians Regional and NCH Hospitals, and was an honored nominee for NCH Physician of the Year in 2003. He served as President of Naples Radiologists for many years and was a cofounder of Naples Diagnostic Imaging Centers. Dr. Meli has volunteered with Greater Naples Little League, Naples High School swim team, Boys and Girls Optimist basketball, Naples YMCA, and the Collier County high schools redistricting committee. Dr. Meli is on the board of SunTrust Banks of Southwest Florida and the Neighborhood Health Clinic, where he serves on the Medical Committee and provides volunteer radiology services. Tickets to the dinner are complimentary for CCMS physician members. 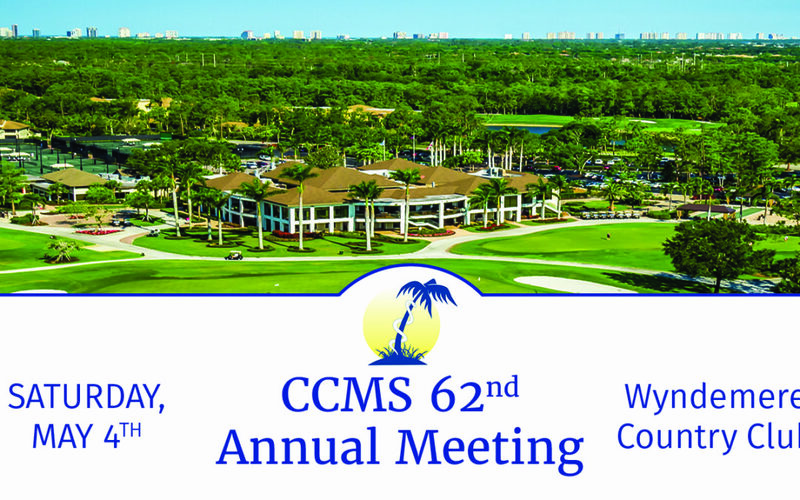 The first CCMS member guest is $25 and additional seats are $125 each. The event’s presenting sponsors are Capital Bank, Millennium Physician Group, Novo Nordisk, and Suncoast Credit Union.